This is a discussion theme for Free English learning session in Onomichi today on April 11. The material in English has been prepared by Mr. Matsuura, today’s MC. We consider the environment problem using the practical English in Japan. 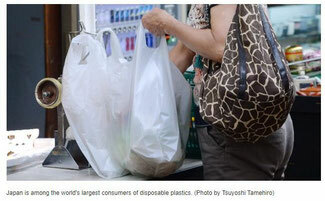 Japan is among the world's largest consumers of disposable plastics.